When you are dealing with a long complex form and you need to open the document, edit one field and exit – it can be a pain to scroll down and find the section. Another frustration is having to scroll up and down the page comparing two different fields. The TOC jQuery plugin can help with this and it works especially well within the confines of the OneUI construct with the Left Column already provided as a perfect spot to put the menu. Well the TOC plugin creates a “menu” of sorts on the page and allows the user to click on the menu and scroll to that place on the page. 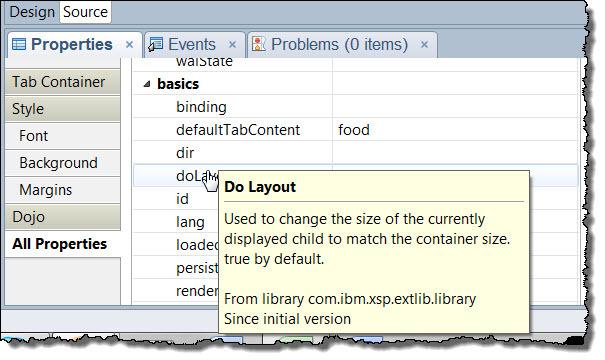 As with many of the jQuery plugins this one is very simple and easy to implement within your XPage. 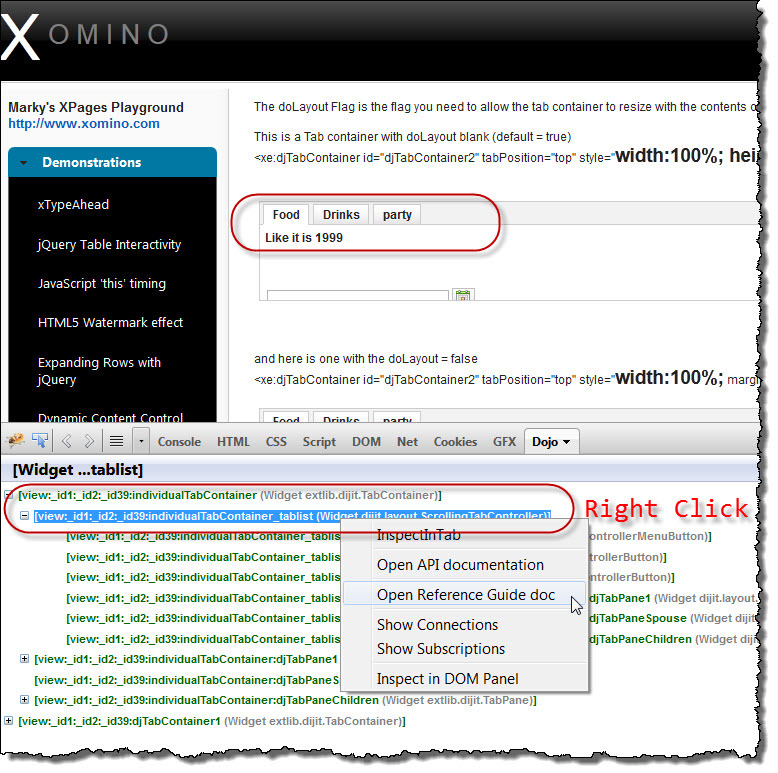 You first need to download jQuery and the TOC plugin and add them to your database. jQuery TOC can be found here and the source code can be downloaded from here. Where #toc is a <div with id=”toc” as an attribute and .inTOC are the HTML elements (class=”inTOC”) which are used to determine the titles of the TOC and the sections on the webpage which they refer to. 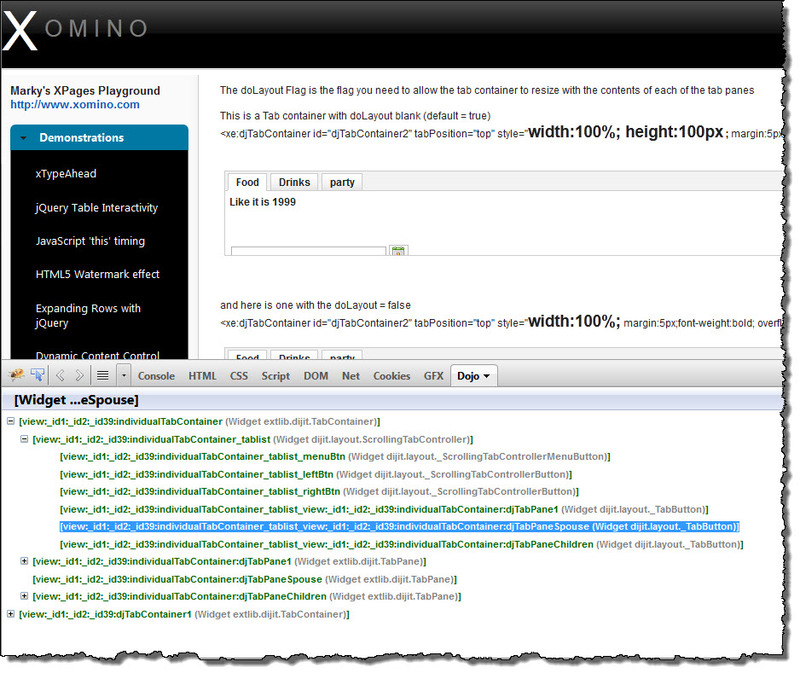 In my demo database you will find the toc <div> in the commonContainer custom control. In my case I added a <Span to the page above the section I wanted – but to “hide” it from being seen I used a style. The reason I did this is because of the dijitTitlePane which did not lend itself well to being a selector for this purpose. A really nice feature of the TOC plugin is that when you scroll up and down the page the menu highlights to show that you are looking at that section. Can seem fairly obvious but that is a really nice touch for the user experience. I really like this plugin – it is very simple, very, and fulfills a common requirement perfectly. 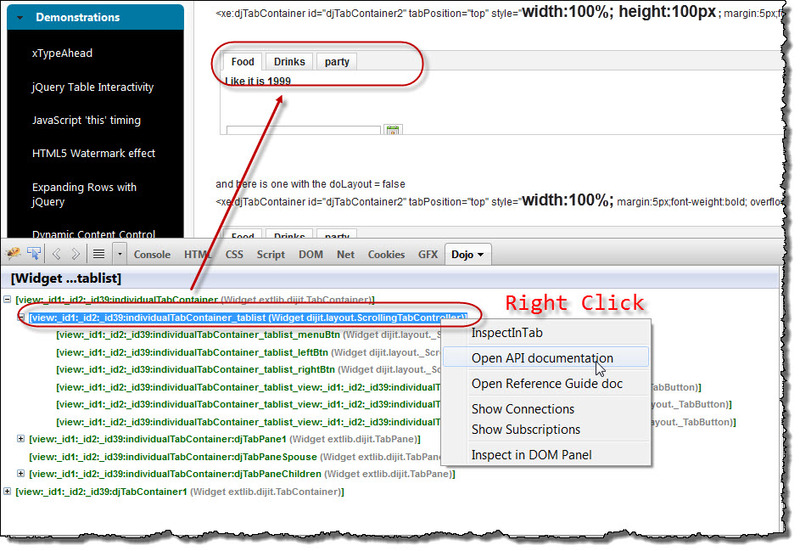 As I have told many people my purpose of these jQuery in XPages examples is not to make you use them today – but when the requirement comes along you know it is there. Just this week my customer said to me that they wanted a menu on their LONG web form to be able to click on it and scroll to the section in question. I had seen the TOC plugin and bookmarked it a few months ago – I knew it existed and within 2 hours it was implemented within the design of their application. And that is why jQuery rocks – not just the code itself but the fact that so many people have written so many cool plugins for the rest of us to take advantage of. In this article I will discuss how to make your Tab Panels dynamically resize to the size of their content. I will use the doLayout property of the dijit control, exposed through the extension library control properties in XPages Designer. 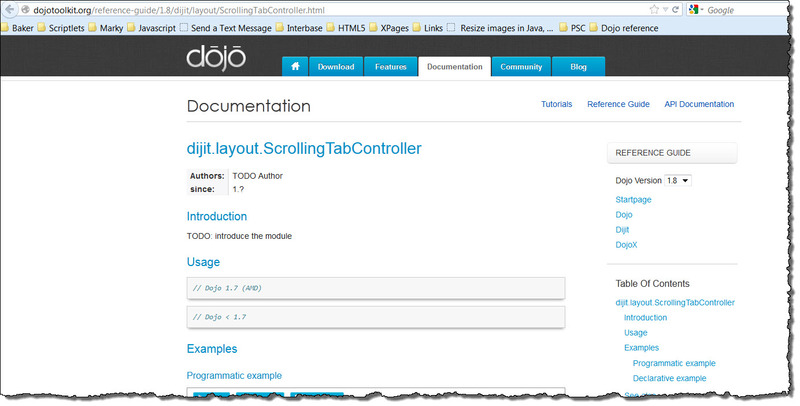 The Extension Library provides us with many easy to use Dojo “containers” including the TabContainer and TabPanel. What is sometimes difficult to decifer though is how to configure the dojo container to bend to your will and meet your requirements. Now I would rather stab my eyes out than read the dojo API documentation – but I have to hold my hand up and give them props for this one – it is right there in the demonstrations on the first page “A TabContainer with flexible height” – Brilliant! The trick is to add doLayout=”false” to your dojo container – simple – and a working demonstration as well – well done sirs!!! So then I went to the XPages designer to look and see if the property was there on the custom control – and yes it was – brilliant – and how absolutely 100% USELESS the help was for it……How is this helpful??? The dojo API documentation says “If true, change the size of my currently displayed child to match my size” – written by closet programmers and not by real people, apparently. 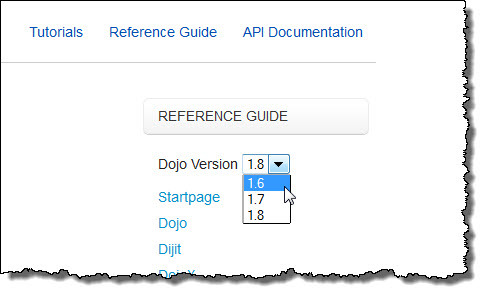 Dojo reference guide actually helped………and I need to use it more often apparently. For more information check out the Dijit information – reference guide – real people speak!